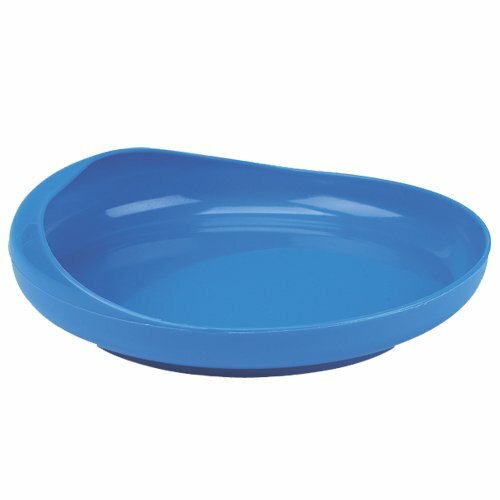 The Parsons Scoop Plate helps scoop food onto utensil by providing the edge users need to load a utensil. . Parson's Scoop Plate is ideal for individuals with one hand or for anyone with poor coordination. No need to worry about breaking the Parsons Scoop Plate because it is constructed of break proof plastic. 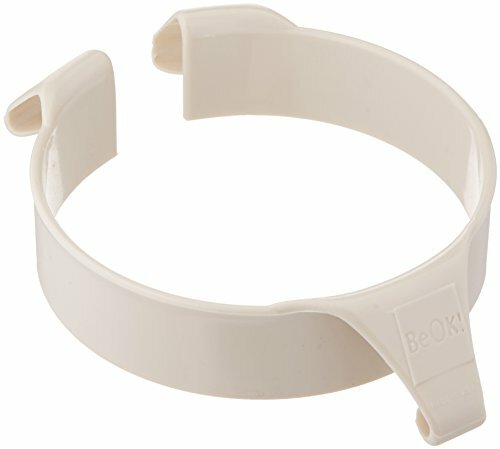 Provides a low entry with high backstop to scoop the food onto a utensil or prevent it from being pushed off the dish. The bottom has a non-skid surface. Dishwasher safe in top rack of domestic dishwashers. Dish is 9 diameter with a 3/4 rim. This convenient 2 pack of plate guards help to prevent food from being pushed off the plates making it very helpful for kids and/or seniors during meals. This large plate guard fits 9 -11 inch diameter dishes. Made out of durable clear poly-carbonate plastic. To use, attach the guard to the plate by stretching open the plate guard, and placing the rim of the plate into the "V" shaped groove of the plate guard. This design helps to prevent food and liquids from going between the guard and the plate. Measures approximately 7 inches in diameter by 1.5 inches in height and .25 inches thick. Easy to clean and dishwasher safe up to 125 degrees Fahrenheit. This convenient 2 pack of plate guards help to prevent food from being pushed off the plates making it very helpful for kids and/or seniors during meals. 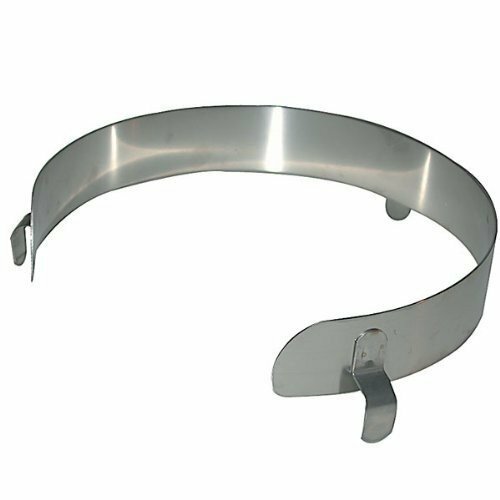 This large plate guard fits 9 -11 inch diameter dishes. Made out of durable clear poly-carbonate plastic. To use, attach the guard to the plate by stretching open the plate guard, and placing the rim of the plate into the V shaped groove of the plate guard. This design helps to prevent food and liquids from going between the guard and the plate. Measures approximately 7 inches in diameter by 1.5 inches in height and .25 inches thick. Easy to clean and dishwasher safe up to 125 degrees Fahrenheit. For over 50 years, Sammons Preston has been the premier brand in aids to daily living and homecare devices. Sammons Preston products are adaptive living aids that help people cope with their environment. Whether you are a therapist or patient, someone with special needs, or just have a need to make life easier and more accessible, Sammons Preston products can help you. Occupational therapists, physical therapists, nurses, and other healthcare professionals rely on Sammons Preston adaptive utensils, adaptive plates and silverware, nosey cups, reaches and grabbers, grab bars, sock pullers, shoe horns, dressing sticks, hip kits, leg lifters, back scrubbers, gait belts, wheelchair belts, trays, and wheelchair accessories. These are the same high quality professional products used in hospitals, clinics, and nursing homes. 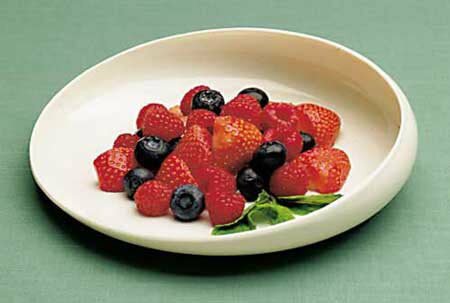 This strong SureFit Plastic Food Guard hugs the rim of a dish securely. Designed to help the scooped food fall back onto the utensil, thus reducing messy spills off the edge of the plate and general embarrassment, and supporting independent eating. Guard measures 1.25" high and fits plates with a diameter of up to 10.75". Ideal for one-handed use. Easy to attach and remove. Microwave and top rack, household dishwasher safe. Color: White. This convenient plate guard prevents food from being pushed off the plate making it very helpful for kids and/or seniors during meals. 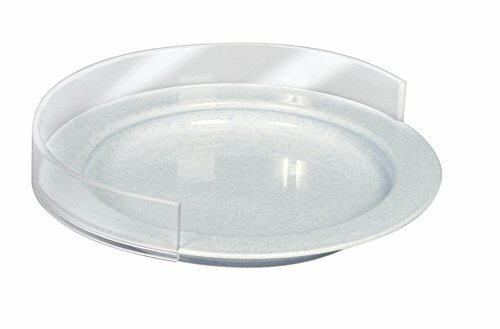 This large plate guard fits 9 -11 inch diameter dishes. Made out of durable clear poly-carbonate plastic. To use, attach the guard to the plate by stretching open the plate guard, and placing the rim of the plate into the "V" shaped groove of the plate guard. This design helps to prevent food and liquids from going between the guard and the plate. Measures approximately 7 inches in diameter by 1.5 inches in height and .25 inches thick. 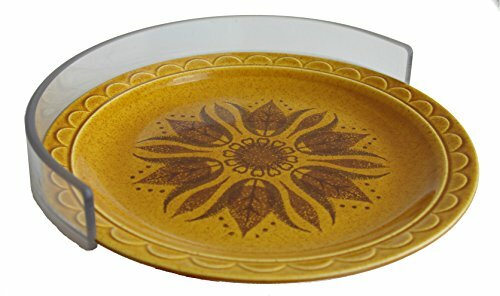 Fits plates up to 10.5 inches in diameter. Easy to clean and dishwasher safe up to 125 degrees Fahrenheit. This convenient plate guard prevents food from being pushed off the plate making it very helpful for kids and/or seniors during meals. 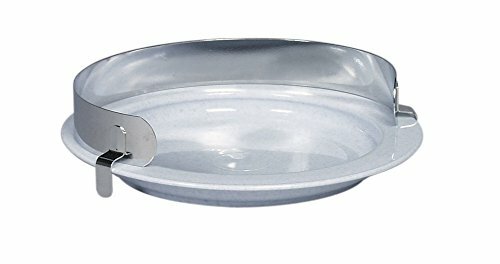 This large plate guard fits 9 - 10.5 inch diameter dishes. Made out of durable clear poly-carbonate plastic. To use, attach the guard to the plate by stretching open the plate guard, and placing the rim of the plate into the V shaped groove of the plate guard. For over 50 years, Sammons Preston has been the premier brand in aids to daily living and home care devices. Sammons Preston products are adaptive living aids that help people cope with their environment. Whether you are a Therapist or patient, someone with special needs, or just have a need to make life easier and more accessible, Sammons Preston products can help you. Occupational Therapists, physical Therapists, nurses, and other healthcare professionals rely on Sammons Preston adaptive utensils, adaptive plates and silverware, nosey cups, reaches and grabbers, grab bars, sock pullers, shoe horns, dressing sticks, hip kits, leg lifters, back scrubbers, gait belts, wheelchair belts, trays, and wheelchair accessories. These are the same high quality professional products used in hospitals, clinics, and nursing homes. This Stainless Steel Plate Guard creates a side wall on any plate 8.5 to 11 inches in diameter to prevent spills and help push food onto a fork. 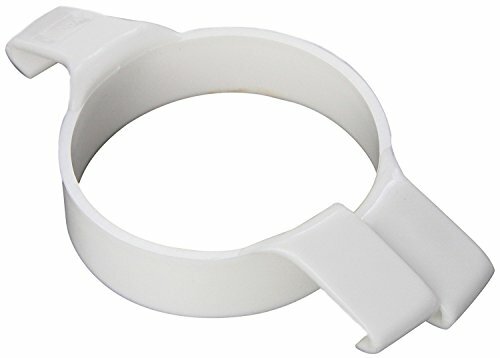 This product is especially useful for a person with use on only one hand. For over 50 years, Sammons Preston has been the premier brand in aids to daily living and homecare devices. Sammons Preston products are adaptive living aids that help people cope with their environment. Whether you are a therapist or patient, someone with special needs, or just have a need to make life easier and more accessible, Sammons Preston products can help you. Occupational therapists, physical therapists, nurses, and other healthcare professionals rely on Sammons Preston adaptive utensils, adaptive plates and silverware, nosey cups, reachers and grabbers, grab bars, sock pullers, shoe horns, dressing sticks, hip kits, leg lifters, back scrubbers, gait belts, wheelchair belts, trays, and wheelchair accessories. These are the same high quality professional products used in hospitals, clinics, and nursing homes. The low front and high back are ideal for persons with limited motor co-ordination or the use of only one hand. Dish measures 200mm (8") in diameter. Available in plastic or melamine.Household dishwasher safe. Not microwaveable. Designed for people with low motor skills or use of only one hand. The high backed wall allows the user to scoop food onto their cutlery. Household dishwasher safe. Not microwaveable. 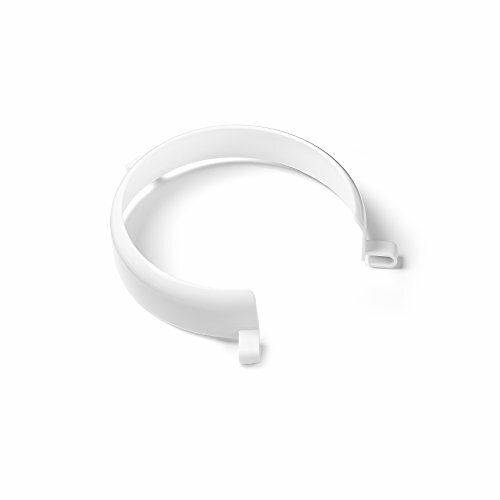 The Juvo Plate Rim enhances independence and makes eating easier for those with one hand or limited muscle control. 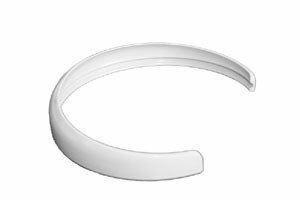 The plate rim fits on most standard round plates allowing users to scoop food up the rim onto the spoon or fork. Juvo Products is dedicated to helping people with physical restrictions be more self-sufficient in and around their own homes. Juvo creates smart product solutions that empower individuals with limited mobility to freely carry out their daily activities. 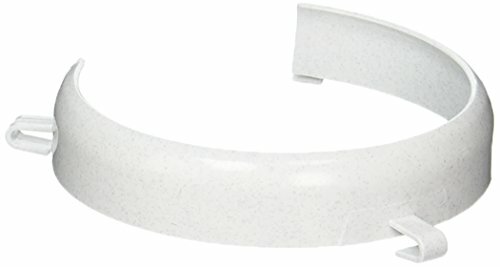 The plastic food bumper guard clips onto a dinner plate to provide a wall for scooping food against. 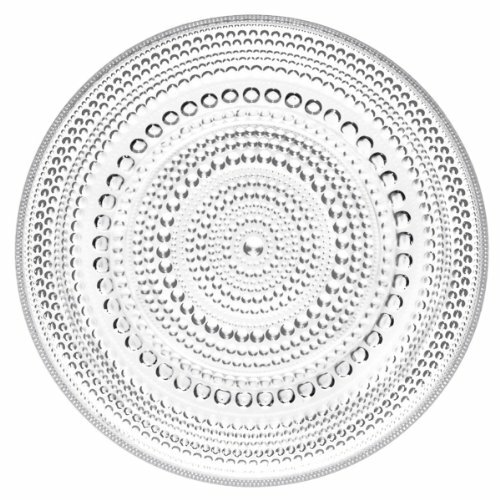 This translucent plastic plate guard is ideal for people who want to use traditional plates, but have difficulty getting food onto utensils.This food bumper fits circular dinner plates with a 9 to 11 inch diameter. The 1 inch high plastic rail is lightweight and dishwasher safe. The food bumper holds the food on the plate, while the person brings the fork or spoon to the edge of the plate. It made of lightweight polypropylene and blends in with regular tableware. 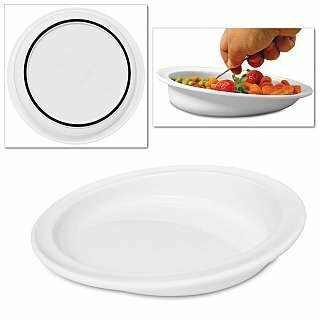 Plastic food bumper guard features: helps to hold food on a plate for the user to scoop.Clips onto a regular dinner plate.Plastic food bumper guard specifications: fits: 9 to 11 inch diameter circular dinner plates.Material: polypropylene.Care: dishwasher safe. The Extra Large Clear Plate Guard is made of heavy duty clear plastic and fits plates up to 10 inches in diameter. This clear plate guard provides a clear edge for a person to push their food against, and can be used discreetly while dining out. Attach the guard to the plate by stretching open the plate guard, and place the rim of the plate into the "V" shaped groove of the plate guard. This type of attachment prevents food and liquids from going between the guard and the plate. The plate guard can easily be removed for cleaning, and is dishwasher safe up to 125 degrees F. Extra Large Clear Plate Guard Features:Dining aid for people who have difficulty keeping food on the plate.Easily removed for cleaning.Securely attaches to prevent liquids from going between the guard and the plate.Clear guard can be used discreetly when dining out.Heavy duty extra large model resists breaking.Extra Large Clear Plate Guard Specifications:Material: Clear high temperature polycarbonate plastic.Measures: 1 1/4 inches high.Fits: Plates up to 10 inch diameter.Cleaning: Dishwasher safe.Made in: USA. Clear polycarbonate plate guard prevents food from being pushed off the plate. Internal V groove attaches to the rim of the plate. Dishwasher safe. Latex free. DEW000945 Features: -Crafted of Glass.-Dishwasher safe.-Diameter: 6.75''. 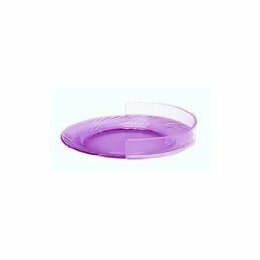 The Small Clear Plate Guard polycarbonate 1 inch high rim prevents food from being pushed off the edge of a plate.This small clear plastic food guard fits smaller plates that measure 6 to 8 inches, such as dessert and salad plates. The guard is easy to attach to a plate by sliding the plate into the internal "v" grove of the plate guard. The plastic rail is dishwasher safe. 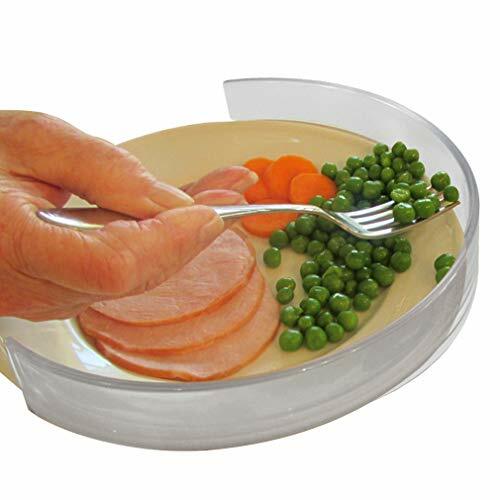 This clear plastic dining aid helps people with disabilities by making scooping food onto utensils easier.Small Clear Plate Guard Features:Prevents food from being pushed off the plate.Makes scooping food onto utensils easier.Small Clear Plate Guard Specifications:Fits: Plates with a diameter of 6 to 8 inches.Measures: 1 inch high.Material: Clear polycarbonate plastic.Care: Dishwasher safe. Food guard large plastic. ALIMED is a leading provider of medical, healthcare and ergonomic products serving all segments of the healthcare market including hospitals and clinics, nursing homes and long-term care facilities, private medical practices, Therapists, and more. Prevents food from being pushed off the plate. Features three spring action clips to secure the guard to the plate.. Dishwasher safe. Fits 9" - 11" diameter plates. Large. 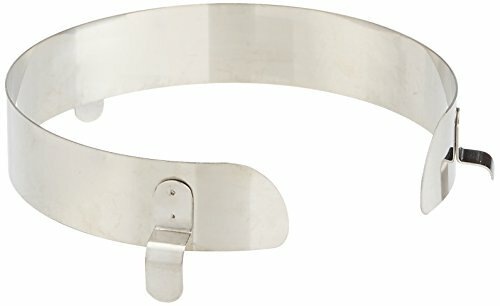 . . Kinsman Enterprises 15216 Stainless Steel Plate Guard, Fits 9" - 11" Diameter Plates, Large. 15216. Country of Origin : United States. 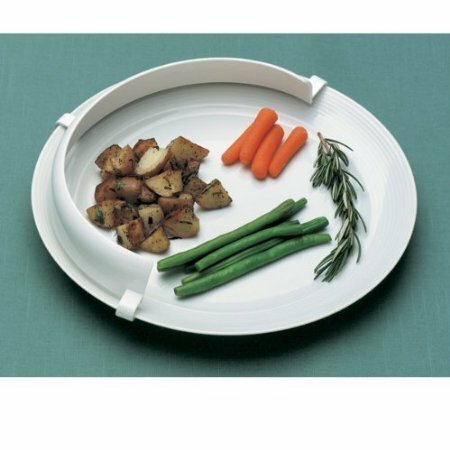 Brand: Kinsman Enterprises | Manufacturer: Kinsman Enterprises, Inc.
(SEE AVAILABILITY ABOVE FOR ESTIMATED DELIVERY) - Plastic Plate Guard - Plastic Plate Guard - Lightweight, versatile plate guard quickly attaches to any standard dinner plate. Easy - to - clean polyethylene. Dish washer safe to 180 F (82 C). Latex free. - Rolyan products are internationally licensed & manufactured for home & clinical use. Most of their products offer a lifetime warranty.